Drain-Source Breakdown Voltage (VGS = 0 Vdc, ID = 250 uAdc): 60V min. Temperature Coefficient (Positive): 81.3mV/C typ. Drain-Source On-Voltage (VGS = 5.0 Vdc ; ID = 15 Adc): 2.3V typ. 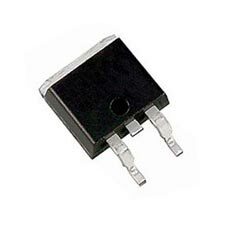 Reverse Transfer Capacitance: 66pF typ. Turn-On Delay Time: 19.0ns typ. Turn-Off Delay Time: 41ns typ.